From sun-drenched beaches and vibrant cities to wildly remote luxury lodges, South Africa is the ultimate destination for a rousing romance. 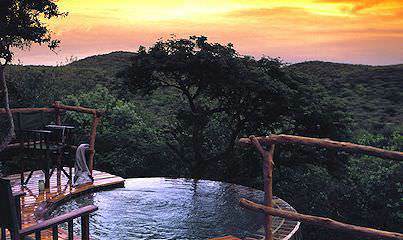 South Africa honeymoon experiences and African honeymoon safaris provide the most unforgettable romantic getaways. From the golden beaches of the fairest Cape to wildlife areas where the Big Five still reign supreme, Southern Africa has much to offer honeymoon couples wishing to enjoy their special time in our part of the world. Characterized by inimitable locations from coast to wilderness, a wide variety of romantic pursuits and great value for money, South Africa will exceed your wildest honeymoon dreams. 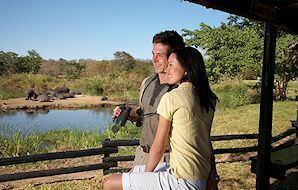 We offer South African honeymoon packages that cater to a generous range of time frames, budgets and interests. Should our existing honeymoon itineraries not quite fit the bill, we would be happy to custom create a honeymoon from scratch. Our focus has always been on providing personal service and ensuring that our guests enjoy a honeymoon in Africa which they will cherish for the rest of their lives. South Africa is blessed with an abundance of hotels, guest houses and lodges in a four star price range that offer five star levels of service and experiences akin to the most exclusive honeymoon adventures. There is no need to break the bank to create the most treasured of memories and enjoy the most unforgettable experiences. Intimacy and romance are standard across the board. Combine enthralling elements of five star luxury with destinations that complement the character of your romance. These honeymoons focus on South Africa's highlights while extending a few legs beyond the country's borders, like sojourns to the Victoria Falls, or the safari areas of Botswana, straddling the balance between lavishness and practicality. Your honeymoon is meant to be a once-in-a-lifetime spell of sheer indulgence, intimacy and cherished memories to set the tone for the rest of your lives together. Our exclusive top-end honeymoons cater specifically to this ideal. These are romantic retreats without compromise, from the unadulterated magic of the locations explored to the lavish embrace of the accommodations enjoyed. There is no better setting to connect to your loved one than in the wilderness of Southern Africa, whether it be in the Greater Kruger National Park or the Okavango Delta. Here, undisturbed by the jarring cacophony of the modern world, you can unwind together in a truly awe-inspiring and replenishing environment. These elements are what make honeymoon safaris truly unforgettable. If our existing honeymoon itineraries fall short of your requirements, we'll be happy to custom create a bespoke experience for you and your significant other. With so many enticing destinations and accommodations to choose from, deciding can be overwhelming. Let us assist you in dreaming up your perfect honeymoon and making it a tantalizing reality. This in-depth exploration of South Africa's most romantic destinations includes exclusive accommodations in the most breathtaking settings. 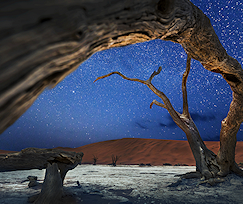 A luxurious honeymoon that couples experiences in Sabi Sand, Cape Town and the winelands with the otherworldly enchantment of Namibia. 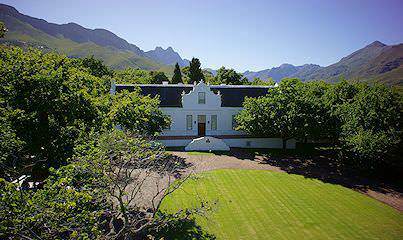 A honeymoon that enjoys a large scope of South Africa's highlights without breaking the bank. Accommodations are intimate throughout. A moderately priced, wild adventure that focuses on safari experiences in Sabi Sand and Chobe National Park, along with a visit to the Victoria Falls. South Africa boasts the widest variety of honeymoon destinations to choose from. Isolate yourselves in the enrapturing wilderness of a private game reserve, sunbathe on the wild shores of the east or south coasts, sip on award-winning bouquets amongst the sensational mountain scenery of the Cape winelands or simply enjoy your sumptuous accommodations in one another's company. Of all the Southern African countries that offer memorable honeymoon vacations, South Africa offers the best value for money. Not only are many high quality budget-friendly options available, but even honeymooners who are after more luxurious ventures would be able to take advantage of very favorable exchange rates. You will undoubtedly get the most bang for your buck in South Africa. We know that many honeymooners look rapturously forward to their valuable alone time, but we also know that traveling to South Africa is a once in lifetime experience for many. 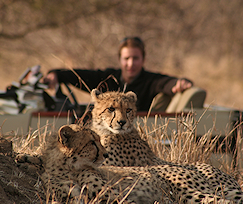 We will therefore work with you to ensure the perfect balance between your guided adventures and your private endeavors so that you take full advantage of your time in South Africa. 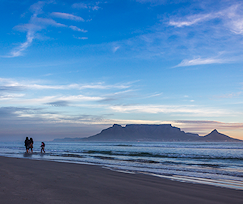 From a bounty of beaches to culinary delights, Cape Town has it all. The Garden Route offers a host of exhilarating outdoor adventures. Sip your way through the fine flavors of the Cape winelands. 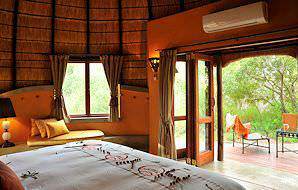 The Sabi Sand hosts a most romantic range of luxury safari lodges. Many safari lodges like to spoil honeymoon guests with a private dinner on the deck of their suite or in some magical wild location, like a riverbed or under a marvelously ancient tree. Relish each other's company in a private space unlike any other, while also enjoying the quality personal attention of attentive staff on the periphery of your experience. A honeymoon is an indelibly special occasion, and South Africa's guest houses, hotels and lodges very much like to go out of their way to enhance your celebration, from complimentary bottles of bubbly, rose petals strewn invitingly around your suite or a candlelit bubble bath at the end of a long day of exciting activities. A honeymoon should always comprise an ample amount of spare time to indulge in one another's company. These interludes are enhanced by the most spectacular surroundings, from strolling along Camps Bay's vibrant promenade at sunset to listening to the sounds of the wilderness from the plush suite of your safari lodge. Will our honeymoon be entirely guided? The amount of guided time and private time on your honeymoon is absolutely determined by you. While some couples like to pack their days full of activities and tours, others relish a bit more personal time to unwind in each other's company. Can activities be added to our honeymoon? Certainly. While most of our honeymoon packages have minimal activities included to begin with, this is mostly to maintain a preferred balance between private time and guided time. As every couple has unique preferences, we would be happy to add or substitute any activities for you. Which is the best destination for a honeymoon safari? The Sabi Sand Private Game Reserve hosts the finest collection of luxury safari lodges in South Africa, each with its own inherently romantic touches. However, be sure to explore every option before making your decision - the rare sand forests of Phinda may also appeal to your amorous nature, or the dramatic cliff faces surrounding Marataba. If we'd like to enjoy the beach during our honeymoon - when should we visit? If you'd like to enjoy some beach time while in South Africa, it is best to visit in late spring and summer (September - March), as Cape Town and the Garden Route get rather cool and wet in the winter months. 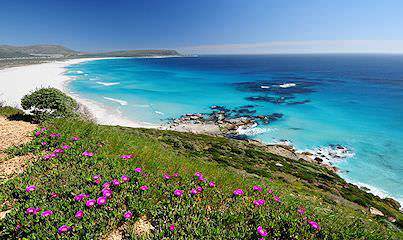 South Africa's East Coast, however, may be enjoyed year-round. Are any honeymoon discounts applicable? Some lodges do indeed offer honeymoon discounts - typically half price for the bride for the duration of the stay. This is the exception rather than the norm, however, so be sure to check beforehand if you are looking for a special. Will the properties that we stay at be informed about our honeymoon? Yes - we ensure that all properties are aware of our honeymoon couples' special occasion and most properties will enhance your stay with extras like a romantic turndown or bubbly on arrival. 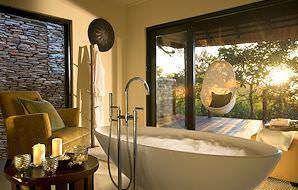 What is the most romantic honeymoon experience available in South Africa? 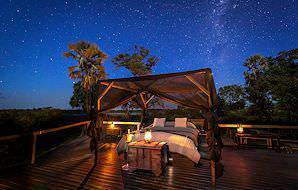 While the answer to this question may always be largely subjective, the luxury tree houses in the Lion Sands Private Game Reserve (Greater Kruger National Park) have become the stuff of honeymoon legend. Spend your night alone with your significant other surrounded by the wilderness, enjoying fine dining and a sumptuous bed under the stars. How long in advance should we plan our honeymoon? If you have very particular accommodations or destinations in mind, we would recommend a year in advance to avoid disappointment. Can we combine South Africa with other countries for our honeymoon? Yes, but keep in mind that this will make your honeymoon significantly more expensive. Popular honeymoon destinations in bordering countries include Sossusvlei in Namibia, the Okavango Delta in Botswana, Victoria Falls (from either Zambia or Zimbabwe) and the remote archipelagos of Mozambique. Is there a time limit as to how long after our wedding we can make use of your honeymoon packages? Not at all - we understand that 'life happens' and sometimes trips need to be postponed until a more convenient time frame. A handful of lodges do have a limit if you'd like to take advantage of honeymoon discounts, but should you forgo this you will nevertheless enjoy special honeymoon touches. 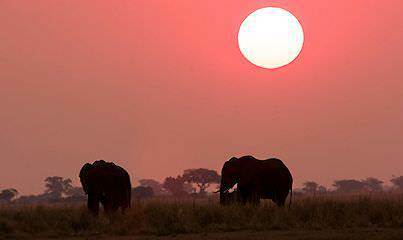 There is no finer nor more romantic honeymoon destination than Africa. Our personal four star honeymoons will appeal to couples on a budget. 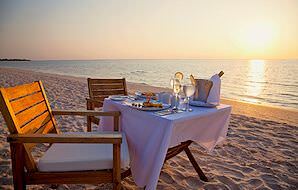 Our luxury five star honeymoons include romantic elements in Namibia & Botswana. Spoil your loved one on an exclusive honeymoon with no-holds-barred luxury. An African honeymoon safari is always a wonderfully wild and romantic endeavor. The honeymoon of a lifetime tailored specifically to your needs. Our South African golf tours include the country's top courses and destinations in comprehensive packages for discerning golfers. South Africa is an incredibly memorable family vacation destination with a multitude of activities and attractions to entertain families. What better way to indulge than to venture to wildest Africa for a sumptuous getaway that involves opulent accommodations and first-class game viewing. From Cape Town to Victoria Falls, Pretoria to Swakopmund, hop aboard the Blue Train or Rovos Rail for the lavish cross-country adventure of a lifetime.